Ah, Peru… what a beautiful, rugged country located on the west coast of South America. Peru has a little bit of everything, from the rainforests of the Amazon to the craggy mountains of Machu Picchu, the sparkling coastline of Lima to the snowy mountains of Huaraz. Because its landscape and attractions are so varied in terms of climate and activity level, you might be wondering what to pack for Peru. Don’t fret – all will be revealed in our Peru packing guide below. 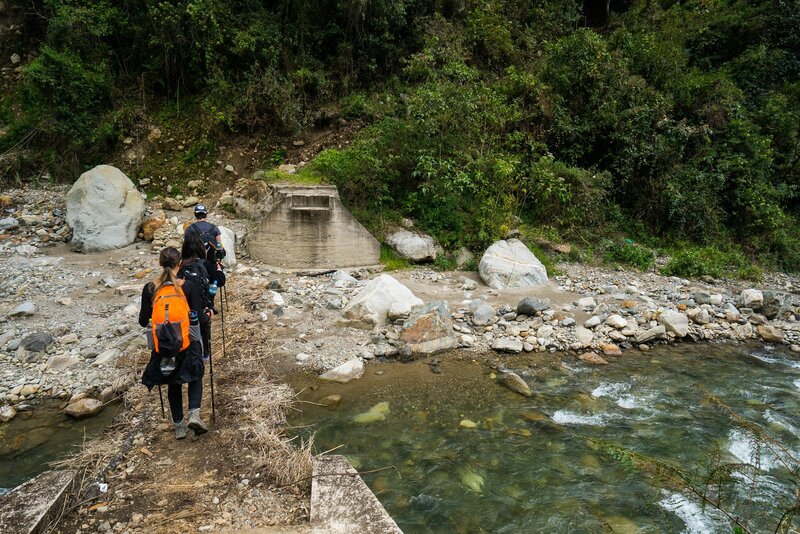 Because it is full of so many different terrains, packing for Peru can be tricky. You’ll want to pack lightly (as always), so being very intentional about what you bring will go a long way. From the sea to the snow-capped mountains, we’ve got you covered with our recommendations for what to pack for Peru. *Please note that some of the below links are affiliate links. If you make a purchase from one of these links, Jetfarer may receive a commission at no additional cost to you. Lightweight, sweat-resistant tops and pants: This is a must. While traveling in Peru, you’ll be on the go a lot of the time. Because of this, you’ll want breathable clothes to keep you comfortable throughout the day. I’d avoid cotton because you’ll end up with heavy, not-quite-dry clothes a lot of the time due to the humidity. Stick to synthetics or wool instead. Bring a few short sleeve/sleeveless tops and a few long sleeve tops for the variety in locations. Jacket/sweater layers on layers: In Peru, there will be some times when you’re sweating bullets and some times when you’re shivering in the cold. For this reason, I recommend packing 2-3 sweater/jacket layers. I have the Patagonia down sweater and it’s the perfect companion as a standalone jacket or underneath a rain shell. A waterproof shell: You won’t regret bringing a rain jacket – the weather is just so unpredictable! I have a rain jacket from The North Face that I really adore. Comfortable walking shoes: This is a given. In Peru you’ll be on your feet almost all of the time, so be sure to pack the most comfy pair of walking shoes you have. Hiking or athletic socks: Be sure you bring appropriate socks to keep your feet dry and comfortable! Open-toed lounging shoes: There will be days when you’ll be taking it a little bit easier. For these days, I recommend bringing some Birkenstocks or Chacos or other comfortable sandals to walk around in. I don’t recommend rubber flip flops as they’ll likely break from the rugged terrain. A comfortable day pack or tote bag: You’ll want something to carry your stuff around during the day! Cameras, tripods, phones, etc. : If you love your photography, don’t forget these! Peru is full of amazing landscapes you won’t want to miss. Electronics adapter: If you’re coming from abroad, it’s likely that either the voltage or the outlets will not fit your electronics. Bring a universal electronics adapter to be safe. A reusable water bottle: Be environmentally conscious and pack a reusable water bottle for your travels! I have a Hydro Flask water bottle, and I couldn’t recommend it more. It keeps my water super cold and refreshing for whenever I need it. Sunscreen and bug spray: You’ll be spending a lot of time outdoors, and you’ll want to make sure you protect your skin from the elements. Especially at the high altitudes of Cusco and Machu Picchu, sunscreen will be incredibly important. Sunglasses and a hat with a drawstring: You’ll want to keep your eyes and face out of the long days of sunshine ahead. Be sure your hat has a drawstring too; the mountains can get really windy! Travel insurance: Don’t leave home without it! We recommend World Nomads insurance plans for intrepid wanderers like you. If you are wondering why you should even bother with travel insurance, read this. Hiking boots: If you’re going to be spending any time outside, hiking boots are a must. I recommend Ahnu Waterproof Hiking Boots (you can find the men’s version here)- I’ve been using mine for the better part of 4 years and I love them to death. A merino wool (or synthetic) base layer: Not a must, but highly recommended for staying warm during those freezing-cold nights and early mornings, especially if you’re planning on visiting Cusco and Machu Picchu. I have a Smartwool merino wool base layer (men’s here) and highly recommend them. Swimsuit: If you love the water, this might be a given for you, but for others possibly not. Although you probably won’t be doing a TON of swimming in many parts of Peru, you’ll want it for some activities on the coastline, the mountain hot springs, and Lake Titicaca. (For women) Sports bras: If you love the outdoors, you’ll want to do some hiking and other outdoor activities. Having some sports bras for the ladies can help. Altitude sickness medication: You’ll have to go to a doctor to get this one, but the altitude in many Peru hotspots can be really tough to acclimatize to, especially if you’ve never been up that high before. Read out altitude sickness guide for more information. What Luggage Should I Use for Peru? Because of the dirt roads, buses, and copious amounts of walking you’ll be doing, I highly recommend bringing a backpack to Peru. Trust me, you won’t want to be lugging around a roller suitcase on some rural trails or cobblestoned streets! For travels ranging from cities to rugged outdoors, I LOVE my Osprey backpack and couldn’t live without it. I highly recommend the Osprey Aura 65L Backpack for women and the Osprey Atmos 65L Backpack for men. If you prefer duffel bags, I have a Patagonia 30L duffle bag I absolutely love (there’s a 60L version too!). Hiking and trekking in Peru are experiences you shouldn’t miss while traveling here. 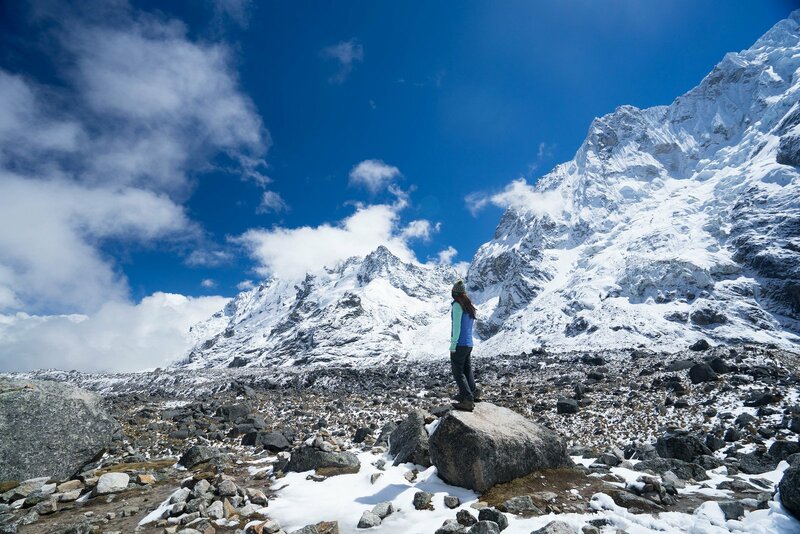 Whether you’re doing the Salkantay or the Inca Trail, trekking in Huaraz or simply going on some strenuous day hikes, here’s a Peru packing list for the outdoor enthusiast. Trekking poles: If you have a pair (or want to invest in one because you love hiking! ), bring it. If you’re in the market for a pair, here’s a folding set of poles by Black Diamond that I really like. Companies usually charge to rent these during your trek. Hand sanitizer/wet wipes: During your trek, you’ll probably get dirty. These will help you sponge bathe/stay semi-clean during your hike. A headlamp: Definitely bring a headlamp – in the evenings the area gets really dark and can be hard to navigate without some source of light. I’ve had this one for several years and really love it. A solar-powered battery charger: You might not have access to outlets during your trek, so bringing a solar-powered battery pack can help you keep cameras and phones alive. A comfortable day pack: Most companies will offer to hold or store your luggage for you during your trek. If you decide to use this option, you’ll need a comfortable day pack to bring along your trekking essentials. A poncho: You’ll already have a rain shell, but you might want to get a poncho too so that you can cover your legs and your backpack from the rain. 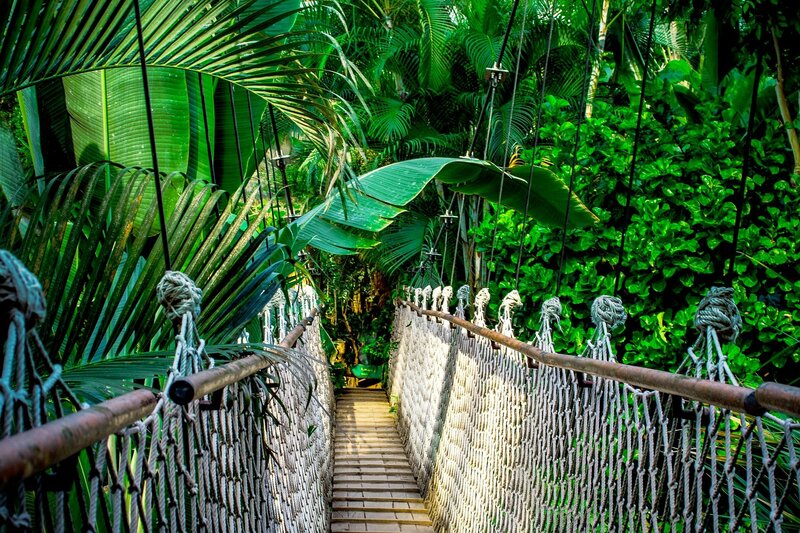 The Amazon Rainforest is a completely different beast from the mountainous areas of the Andes. If you’re planning on visiting the jungle, be sure to bring these items. BUG SPRAY: I posted it in the original list but I can’t say it enough. Be 100% sure you’ve packed bug spray before heading to the Amazon. Bug bite anti-itch cream: You’ll probably get bitten by something, and if so, it’ll be nice to have some relief. Lightweight long sleeves and pants: You might be hot, but I promise that warding off bugs is more important. Waterproof boots: You might not need these if you’re going with a tour that provides them, but keep it on your radar. I recommend renting these there if at all possible. When planning a trip to Peru, you’ll want to make sure you’ve packed lightweight items with the altitude and varied temperatures in mind. Because it has such a wide spectrum of potential climates, bringing lots of layers and being ready for rain will ensure you’re prepared. 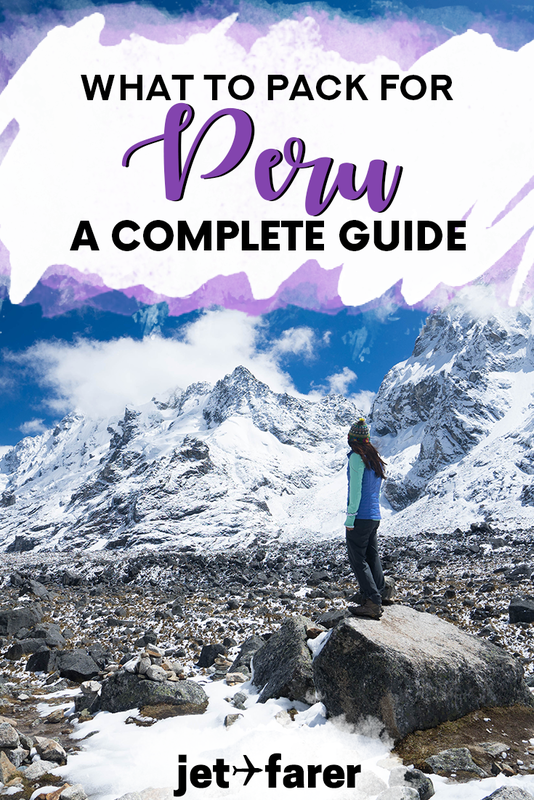 Hopefully, this guide has given you everything you need to know on what to pack for Peru, but if you still have questions, feel free to reach out and we’ll try our best to answer. 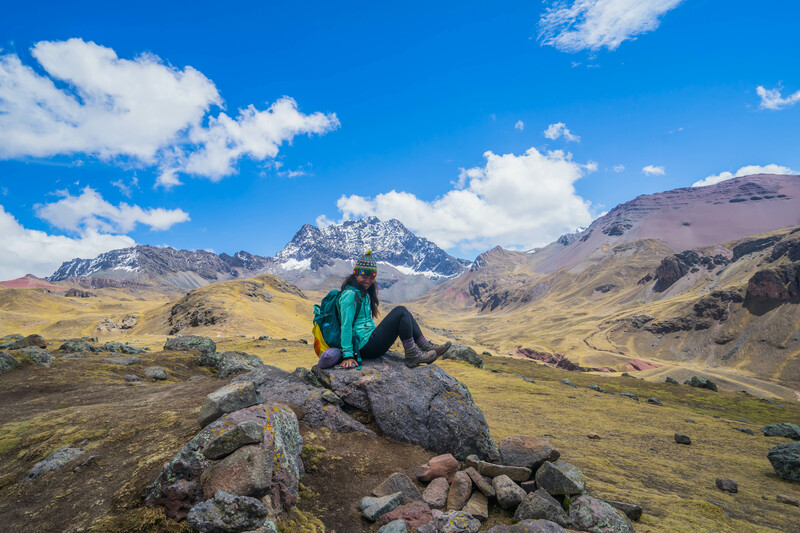 Before you head to Peru, be sure you’re protected on your hikes and adventures with travel insurance (we use and recommend World Nomads). I can’t stress how much I have benefitted from the safety net travel insurance has given me. If you don’t believe me, read this! Be sure to check out our Peru Destination Page for the most important tips and information for your trip! And, while you’re at it, sign up for our Screenshot Travel Guides to get access to our phone-friendly offline guide to Peru. Did you find this post helpful? Pin it below!